Network design and engineering deployment of a WiFi network requires careful planning to determine goals, objectives and requirements. Once evaluated, a site survey is completed to determine sources of interference and best overall coverage as WiFi networks can be tricky to implement due to high interference and high-density areas. Plus, your existing equipment may be incompatible to handle the new capacity loads in existence today. 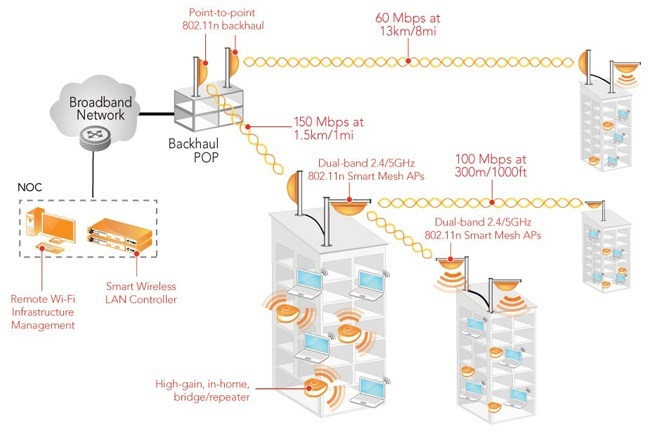 WLANs can be a solid replacement to wired networks when designed correctly. Easy2pc can customize a design specifically to handle the complexity and obstacles of your environment. We have been applying our expertise to all aspects of industry for over 10 years. We go the extra mile to give you best service at the best price. Managed IT Support Accounts from just £60 pcm. IT Support Services across Kettering, Corby, Market Harborough, Wellingborough, Rushden, Oundle and surrounding areas. Site Copyright easy2pc Ltd 2019.